A new audiophile USB DAC has been launched this week called the Space Plus which is a ESS Sabre32 DSD/DXD asynchronous DAC and is available priced at just £99. 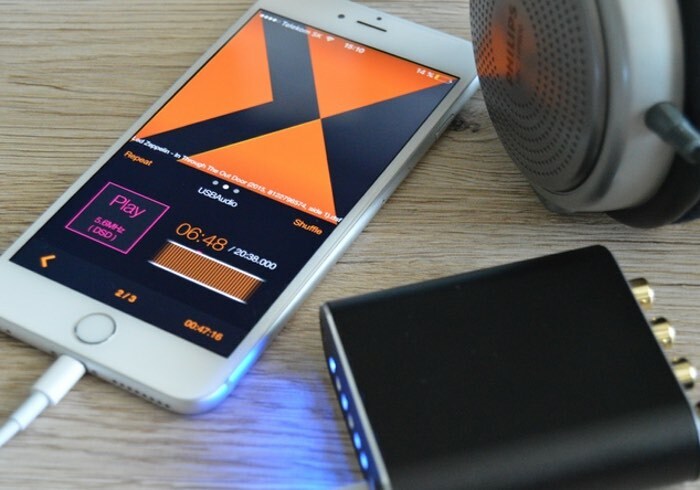 Created by the Magic Pixel team the USB DAC is equipped with “reference-class components for achieving the ultimate quality” say its creators. Do you want to play back high def audio files like DSD (Direct Stream Digital) PCM (Pulse Code Modulation) or DXD (Digital eXtreme Definition) up to 384 kHz 32 bit, however you don’t want to spend a fortune on a high end BD/SACD player? Would you prefer to listen to your music collection from your laptop, gaming console, tablet or even your smartphone? Space Plus DAC is the ideal solution for you! Plug it in to the USB port, and get ready to experience the highest quality sound technology can offer you. Space Plus USB DAC supports high definition digital DXD (PCM) audio with a sample rate up to 384 kHz and a bit depth up to 32 bits, through asynchronous USB 2.0. This means that the DAC has its own clock source, and therefore it is not dependent on the (many times sloppy) USB timing. It’s the best possible connection mode of a computer and a DAC. Other supported formats are: 32 / 44.1 / 48 / 88.2 / 96 / 176.4 / 192 / 352.8 / 384kHz at 16 / 24 / 32bits. For more information on the new Space Plus USB DAC jump over to the Kickstarter website for details and to make a pledge from £99 by following the link below.